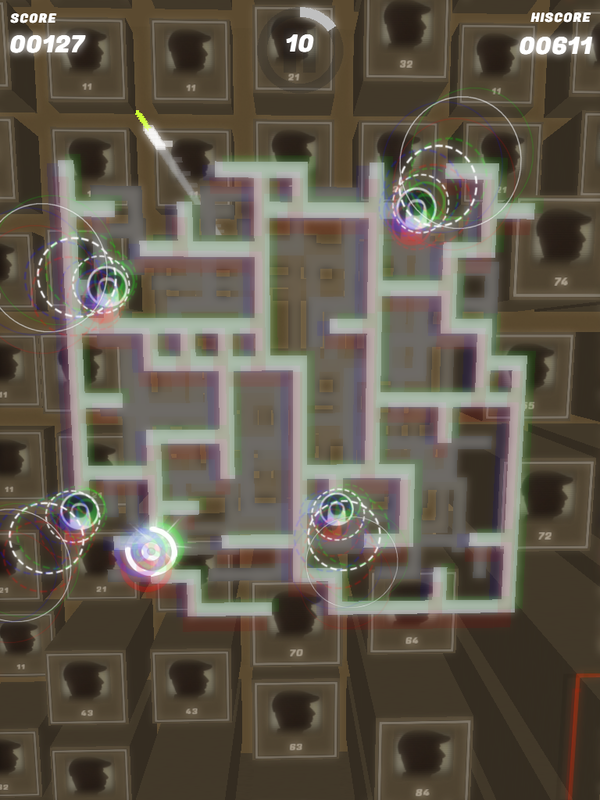 MZR is a cool, addictive, reaction based game about solving mazes. 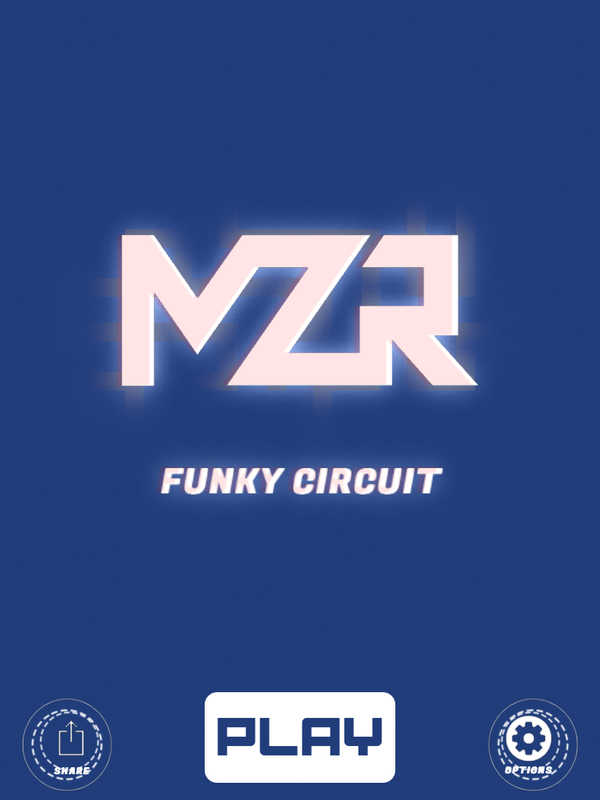 Featuring pulsating graphics and a thumping soundtrack, MZR makes you think differently about what a puzzle game should be. Select destinations in the order in which they will be reached by the light beams from the starting point. Watch the light beams go once the final destination is selected. 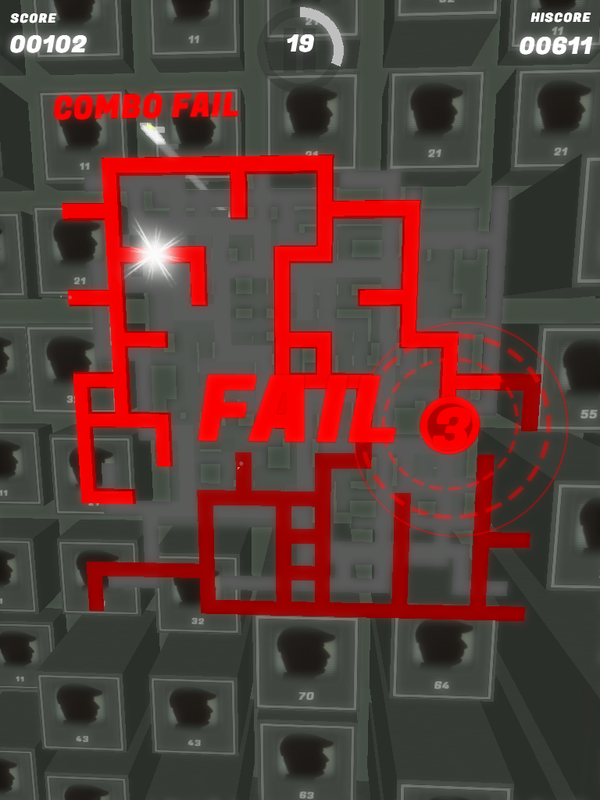 If the solution is correct the maze climbs one level (a level-up) and the score is awarded. Complete as many levels as you can within the time limit to get a higher score! MZR is a free game. No in-app purchases to help you beat your friends - it's only you and your amazing skills. MZR features a scoring system that favours quick thinking and rewards accuracy. Every successful level adds to a combo bonus for the next level. A FAIL results in resetting that combo bonus. A flawless run is worth a lot more points! At bonus levels players have to strategically balance score boosters (height power-ups) against more time (time power-ups). MZR started a game mechanic based on Dijkstra's algorithm. It was always going to be a simple game that combined one or two game mechanics with pulsating music visuals. 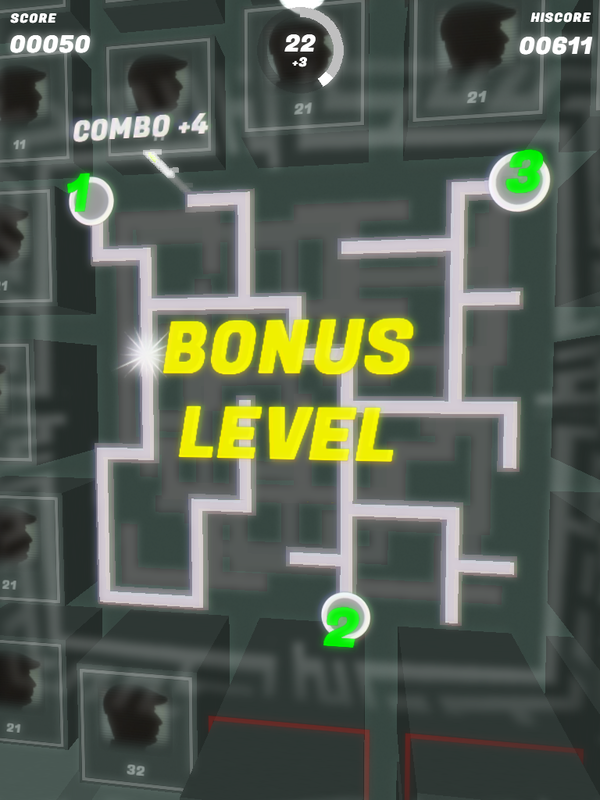 Later, the A* algorithm based bonus levels were introduced to break the pattern. 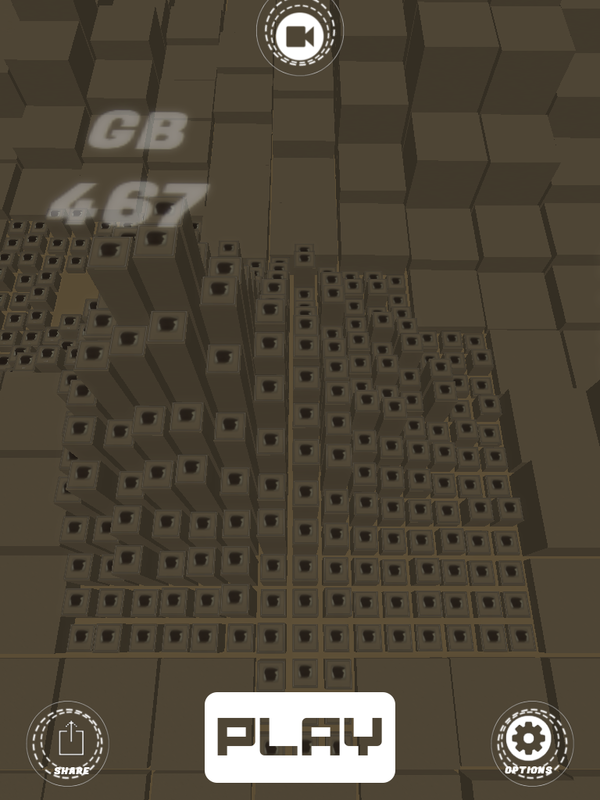 The core game loop is augmented with a different strategy needed to tackle bonus levels. 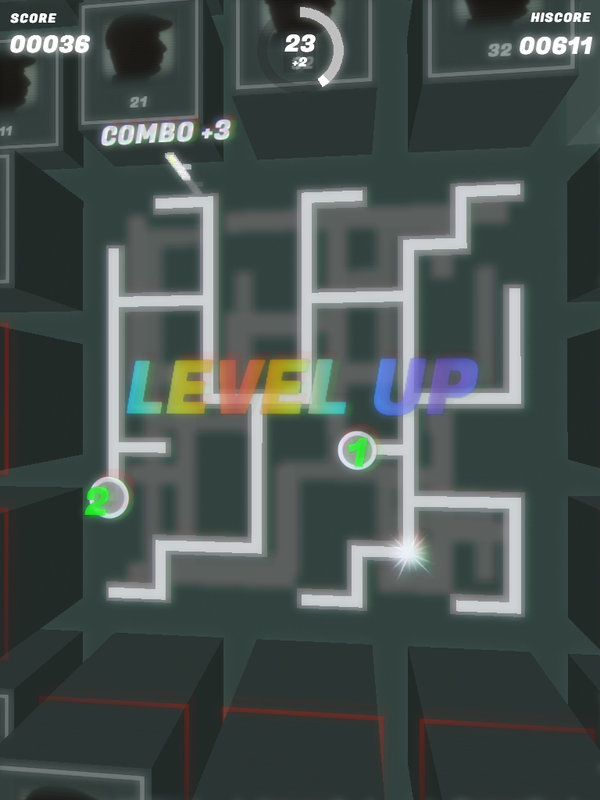 Maximizing power-ups on bonus levels is essential for a good score. Free, challenging and fun for all ages! Infinite random generated mazes that you have to solve. 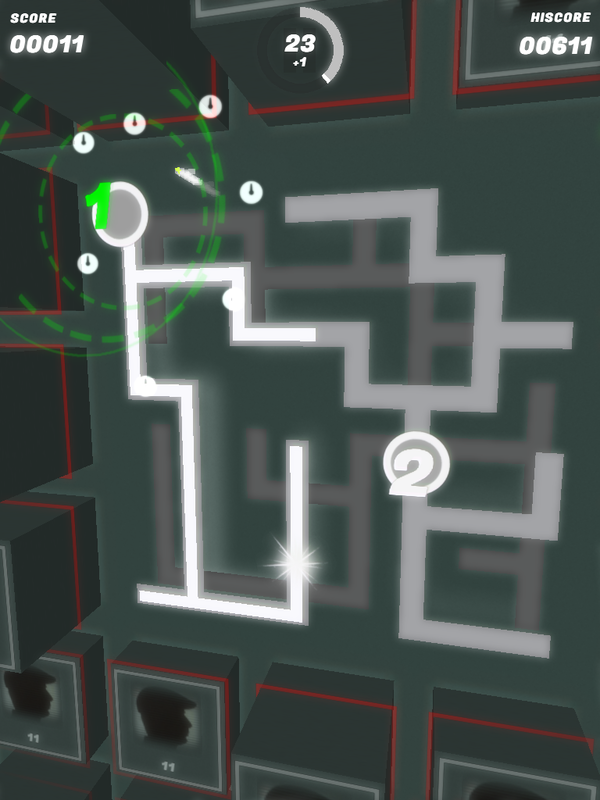 Two main types of maze solving – “closest first” and “shortest path”. Cool visuals synchronized with music. Great soundtrack. A novel approach to leaderboards. Instantly see how good you are compared to your friends, your countrymen or the world. Ability to record and share gameplay videos to show off your skill. 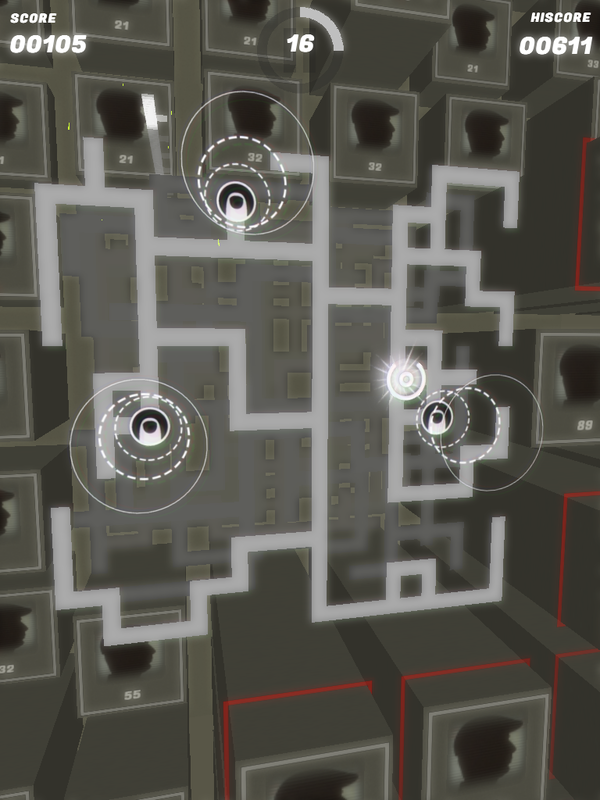 "Hands-on with MZR, the fast-paced maze game that makes me feel like Sandra Bullock"
"Solve puzzles inside of one of Rust Cohle’s hallucinations..."
MZR has not received any awards or recognitions yet. Please check back later to see if things change. Have a question about MZR? Find the answer here. Changes Made: Stripped down the elements outside the circle shape.